Established in 2004 following the collapse of the National Soccer League and kicking off its first season in 2005, the A-League is Australia’s premier club football competition featuring nine Australian teams and one from New Zealand. Launched at the most opportune time – Australia was getting ready to compete at its first FIFA World Cup in 32 years – the A-League got off to a flying start, with Sydney FC signing former Manchester United striker Dwight Yorke and winning the inaugural A-League Grand Final by one goal to nil, ex-Wolverhampton midfielder Steve Corica scoring the only goal of the game at what was then Aussie Stadium. In line with most Australian sports competitions, there is an A-League regular season that leads into a final series. The side at the top of the ladder at the end of the regular season is known as the premiers, while the club that wins the Grand Final is known as the champions. It is Australian custom to focus more on the champions than the premiers, which is what fans from overseas find hard to fathom. There have been seven completed A-League seasons. Five teams have won premierships – Central Coast (two), Melbourne Victory (two), Adelaide (one), Brisbane (one) and Sydney FC (one) – while four sides have won championships – Brisbane (two), Melbourne (two), Sydney FC (two) and Newcastle (one). In theory, the A-League silverware should get shared around because the competition operates under a salary cap, although there are exceptions for marquee players. Overseas football tournaments such as the English Premier League, Italian Serie A and Spanish La Liga have been hugely popular with Australian punters for ages so Australia-facing bookmakers have brought across many of the markets that work on those competitions to their domestic A-League product, which enjoys superb coverage on subscription television. Below we have rooted out the best online sportsbooks that offer odds on the A-league. The A-League does not generate the same level of turnover as the English Premier League so bookmakers do not throw the kitchen sink at it, preferring to stick to the match and futures markets that capture the mainstream interest. Far and away the most popular pastime of A-League punters is betting on the result of matches – home win, away win or draw – and Australians love nothing more than to try and select the correct outcome of every game in a round. What A-League punters who try to tip the full round forget is that they are having a bet in a 243-runner race and often they are taking odds of under $10. Every A-League match has three possible outcomes so the number of possible outcomes for a five-leg multiple is three to the power of five. Australian punters love their Australian Football League and National Rugby League margin bets so it follows that they love betting on the correct scores of A-League games. A typical A-League correct-score market would take up too much space to publish in full but bear in mind the odds about a goalless draw, which are typically around $10. More about goalless draws and the frequency with which they occur in A-League matches later in this betting review. Double results are a feature of AFL and NRL betting so they attract a fair amount of interest from A-League punters, most commonly when there is a short-priced favourite and favourite backers are looking to boost their returns. The undisputed king of A-League match betting exotics is first goal scorer, particularly when high-profile stars – usually Socceroos or international marquee players – are among the forwards for one or both of the competing teams. Many Australian bookmakers offer bonuses on A-League first goal scorer bets but the book margins are so high – add up the odds of the 20 outfield starters and it is not unusual for the total percentage to exceed 200 per cent – that bonuses are required to give punters a fair go. The winner of the A-League regular season makes few waves in Grand Final-obsessed Australia so it follows that most of the futures betting action revolves around the A-League Championship, which goes to the Grand Final-winning club. Six of the 10 teams qualify for the A-League Finals Series, with the Grand Final taking place at whichever of the sides earns the right to host the biggest game of the season. Australian sports competitions love their medals and the A-League is no different, although betting on the Johnny Warren Medal – awarded to the player of the season – and the Joe Marston Medal – awarded to the Grand Final man of the match – is not as freely available as that on AFL’s Brownlow Medal and NRL’s Dally M Medal, to name just two examples. If recent A-League seasons are any guide, you can ignore 0-0 when considering your correct-score bets. In the 2009-2010, 2010-2011 and 2011-2012 A-League seasons there were a total of 29 goalless draws in 456 matches. That is an average of one every 15.72 games. Suffice to say that the 0-0 odds being offered do not equate with that statistic. Long-distance travelling is part and parcel of Australian sport but the A-League takes it to extremes with its games between Perth and Wellington. As the crow flies, more than 5,000 kilometres separate the Australian and Kiwi cities and, naturally, the trips take their toll on the away sides. Look to bet against the team that travels, not only in the antithesis of a derby but also in their next few matches. 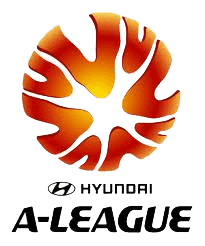 The A-League may only be a 10-club competition but two of the teams – Melbourne Victory and Sydney FC – receive more media attention than the other eight sides combined. It does follow, however, that they are the best clubs and often they run around under the odds against less fashionable teams. The A-League is growing in stature, every game is live on subscription television in Australia and an increasing number of well known players are joining clubs. Never will it match any of the established European competitions but the A-League has its place and punters like betting on it.